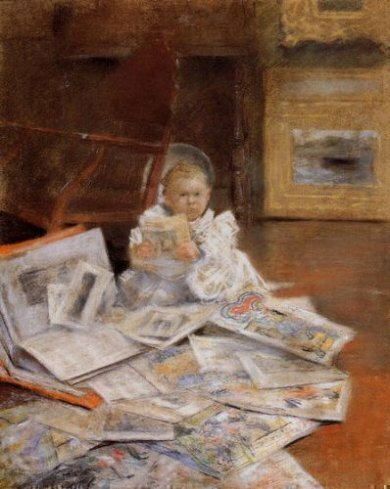 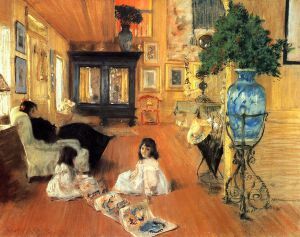 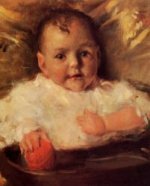 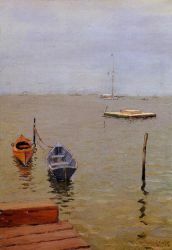 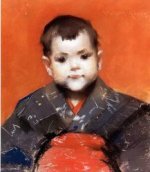 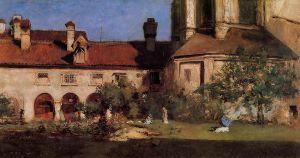 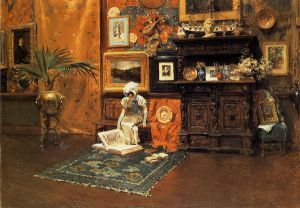 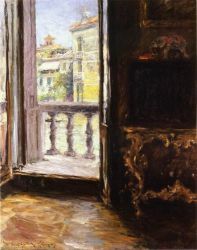 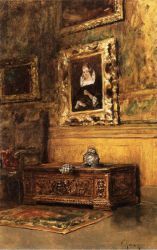 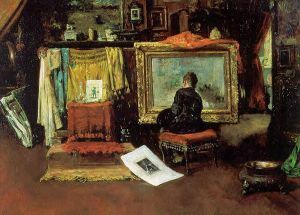 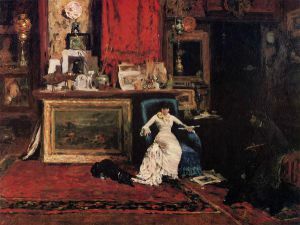 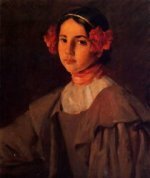 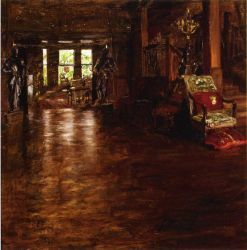 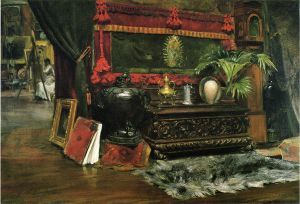 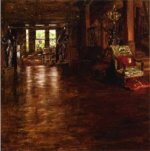 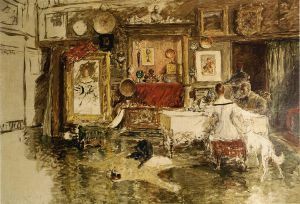 William Merritt Chase (November 1, 1849 – October 25, 1916) was an American painter known as an exponent of Impressionism and as a teacher. 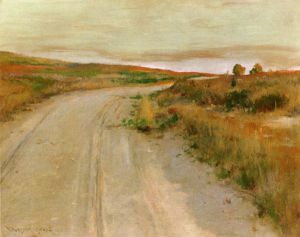 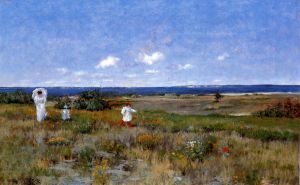 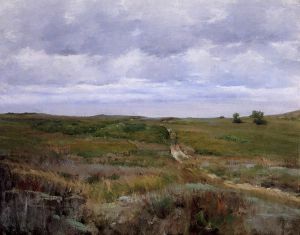 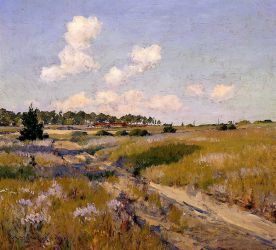 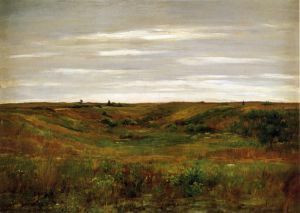 He is also responsible for establishing the Chase School, which later would become Parsons The New School for Design.In addition to painting portraits and full-length figurative works, Chase began painting landscapes in earnest in the late 1880s. 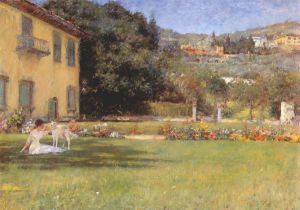 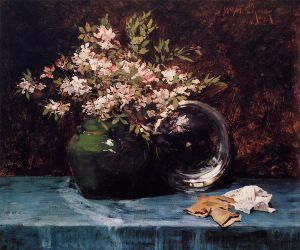 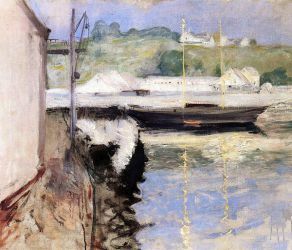 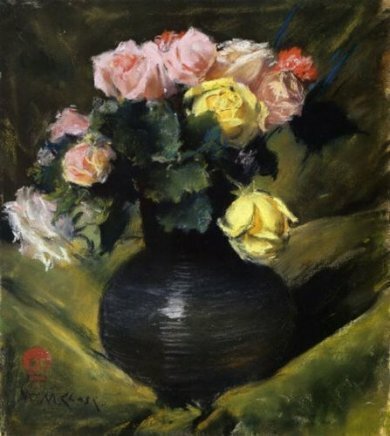 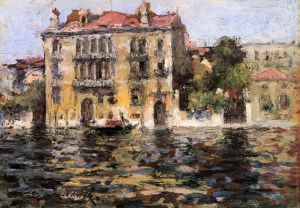 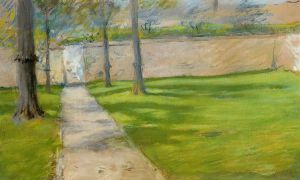 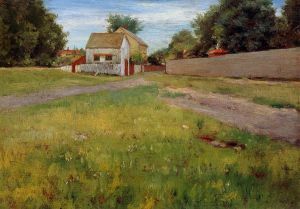 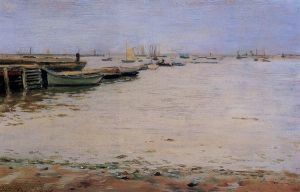 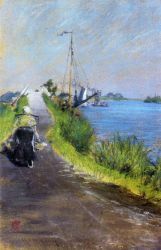 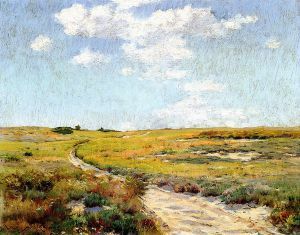 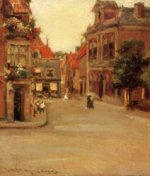 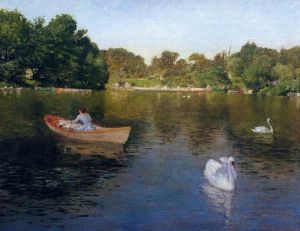 His interest in landscape art may have been spawned by the landmark New York exhibit of French impressionist works from Parisian dealer Durand-Ruel in 1886. 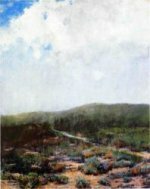 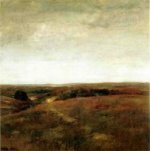 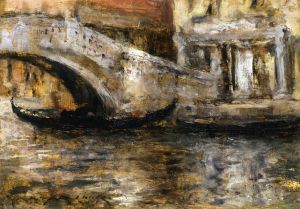 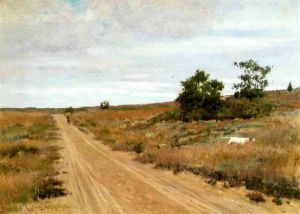 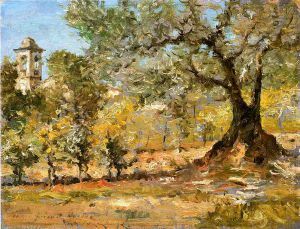 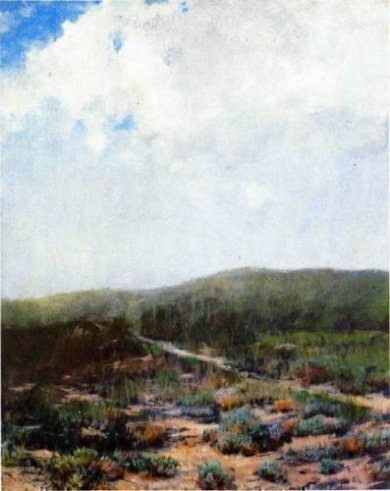 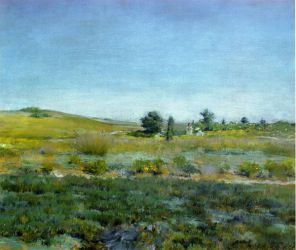 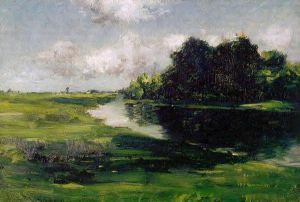 Chase is best remembered for two series of landscape subjects, both painted in an impressionist manner. 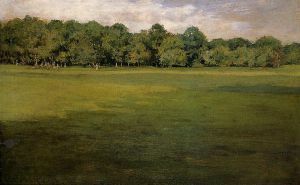 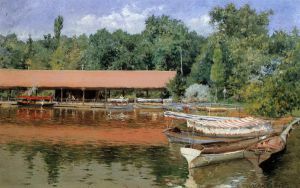 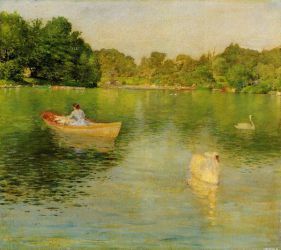 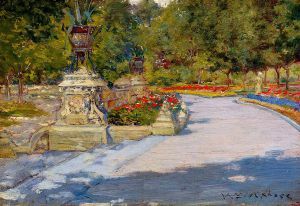 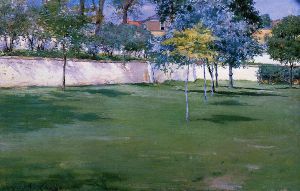 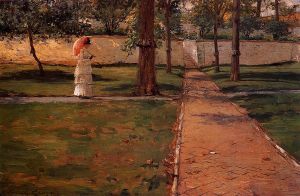 The first was his scenes of Prospect Park, Brooklyn and Central Park in New York; the second were his summer landscapes at Shinnecock. 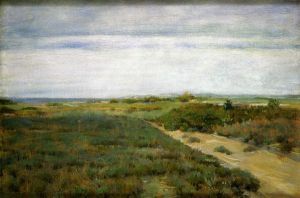 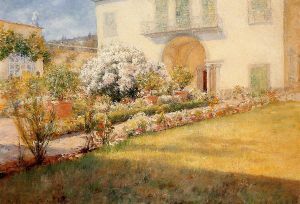 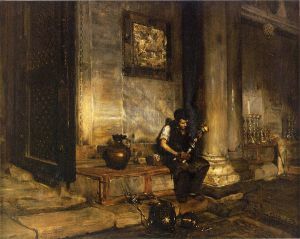 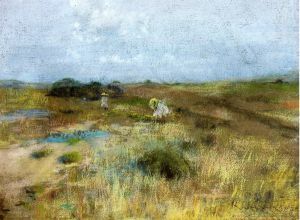 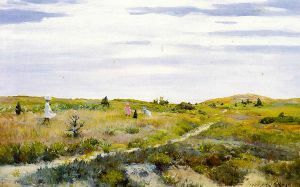 Chase usually featured people prominently in his landscapes. 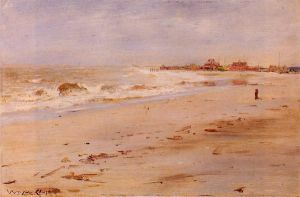 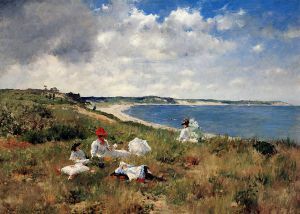 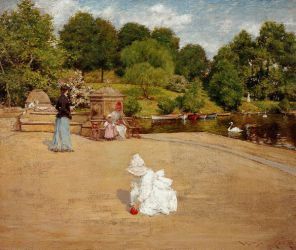 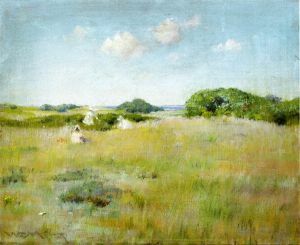 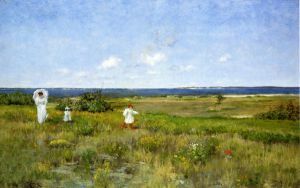 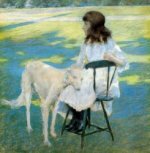 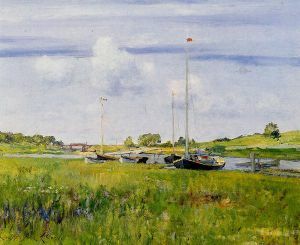 Often he depicted woman and children in leisurely poses, relaxing on a park bench, on the beach, or lying in the summer grass at Shinnecock. 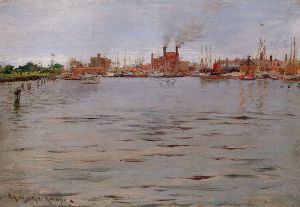 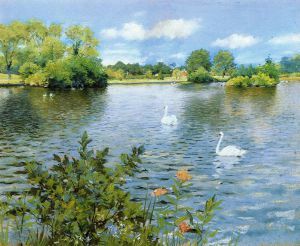 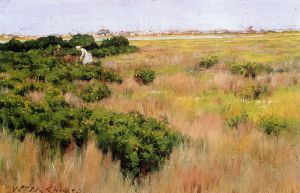 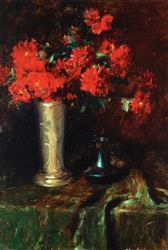 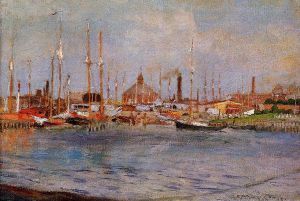 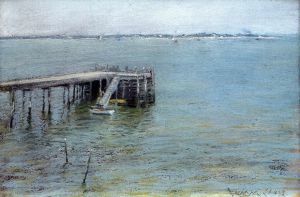 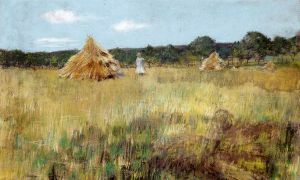 The Shinnecock works in particular have come to be thought of by art historians as particularly fine examples of American Impressionism.